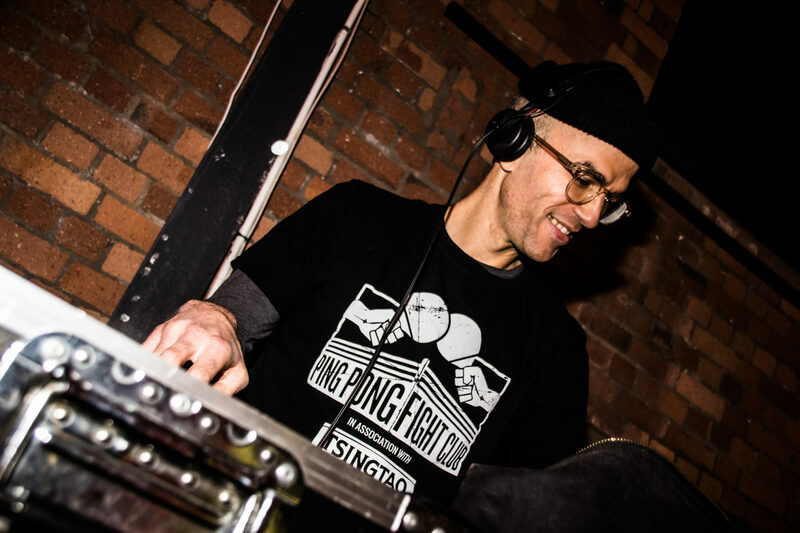 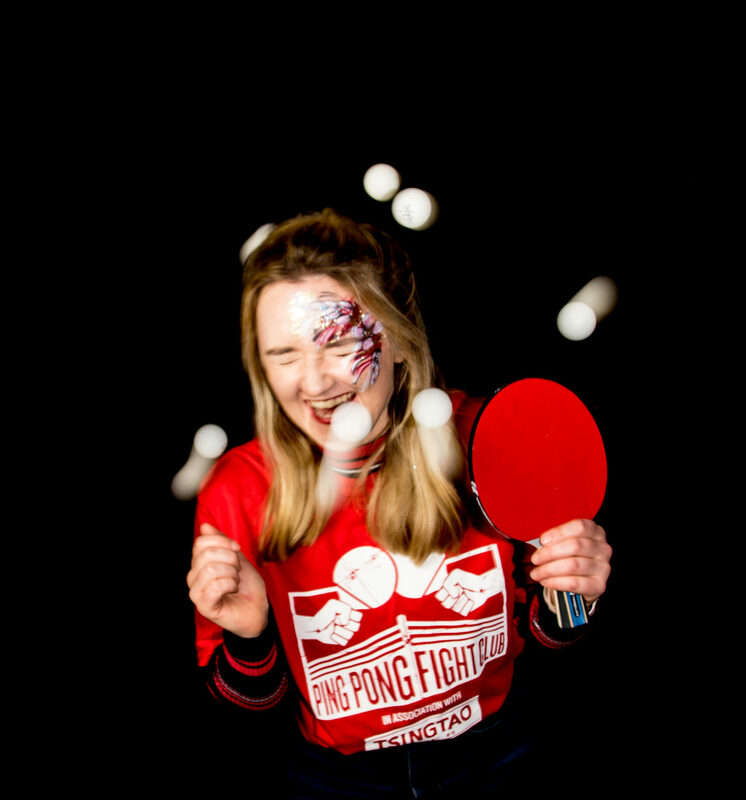 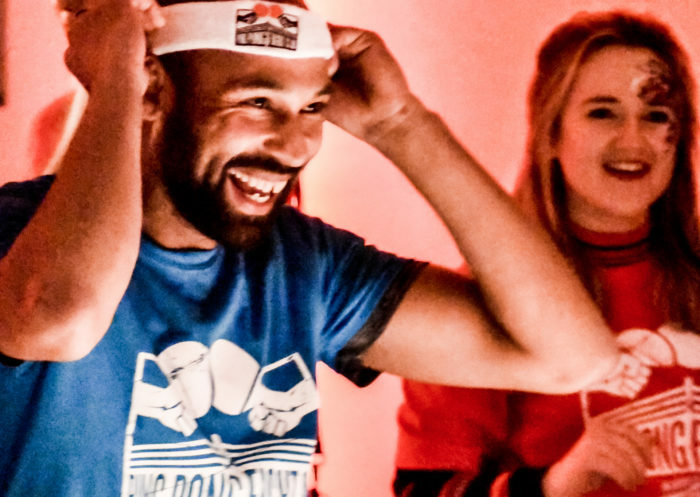 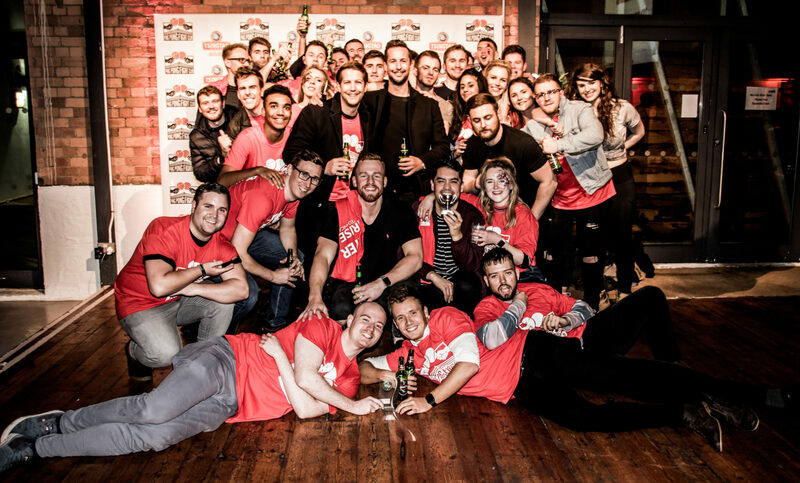 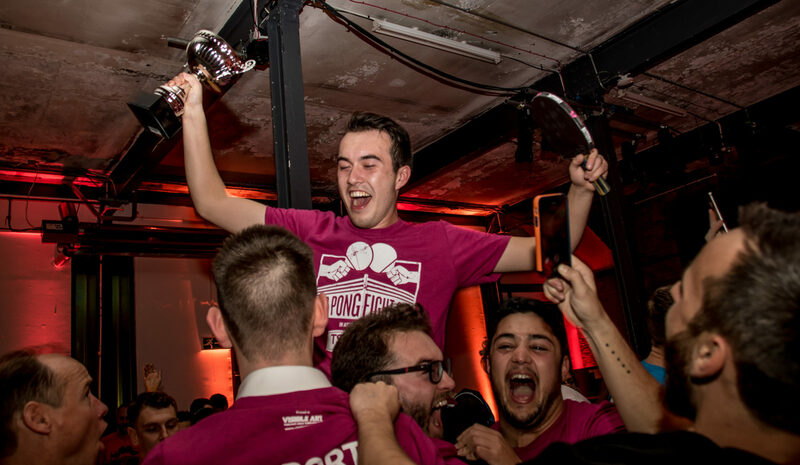 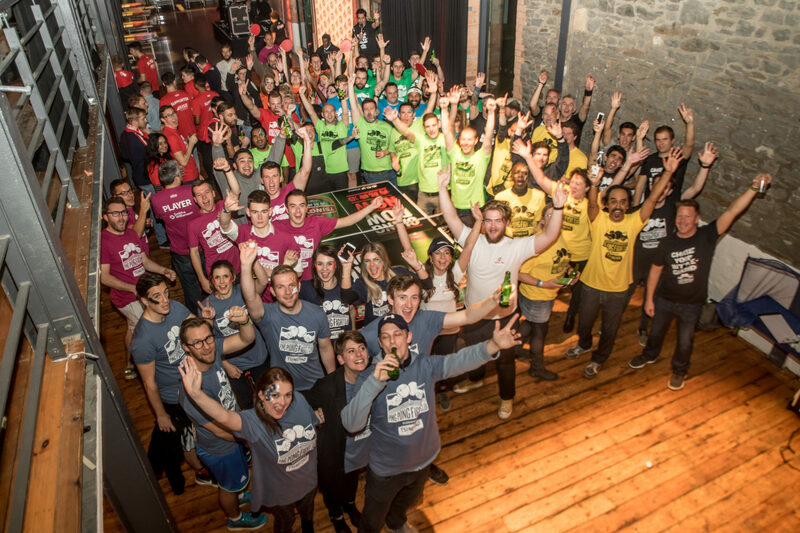 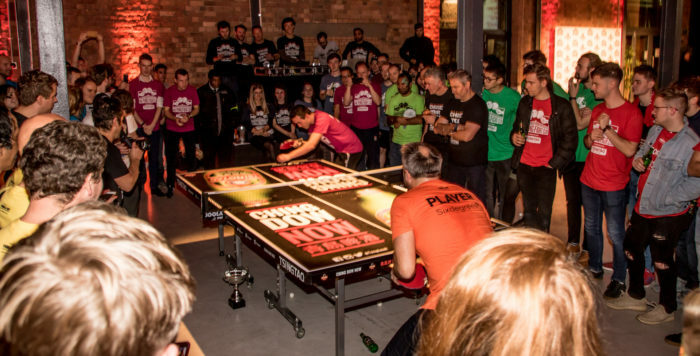 A massive thank you to all our companies who came out in force to take part in Ping Pong Fight Club’s debut in Bristol on November 22nd. 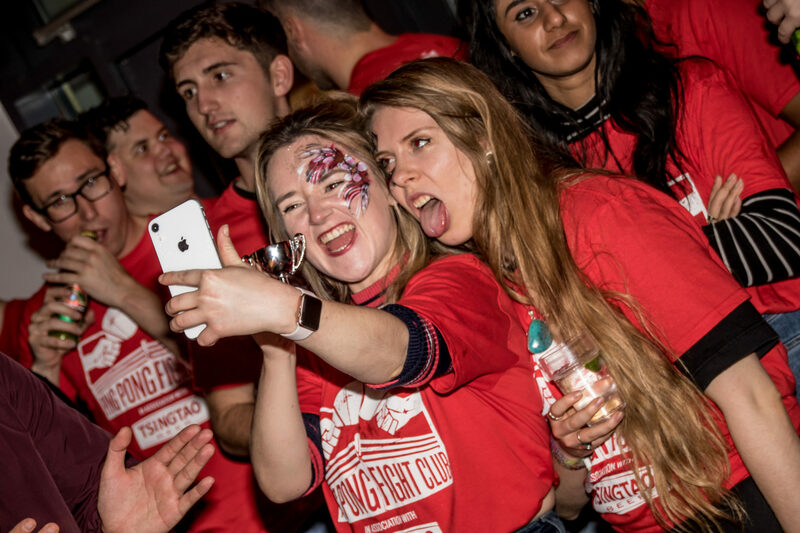 The energy, humour, camaraderie, rivalry and all-round tongue-in-cheekiness made for a memorable night with - no doubt - plenty of action replays in the office the following morning! 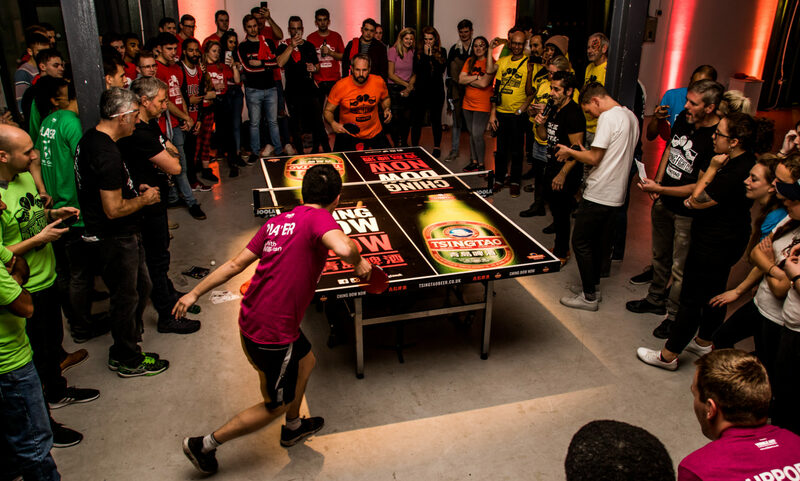 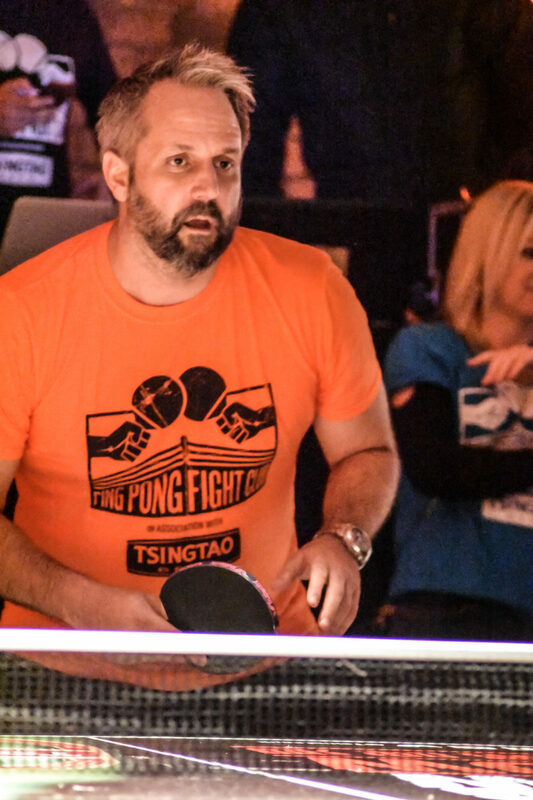 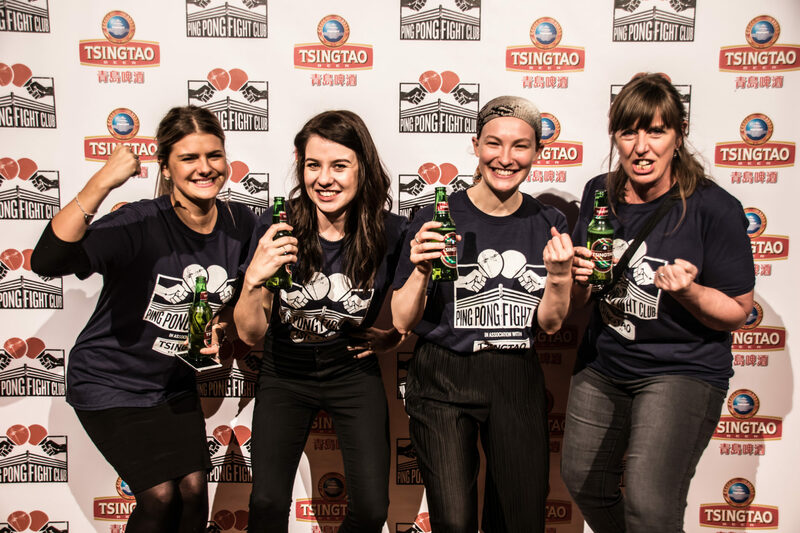 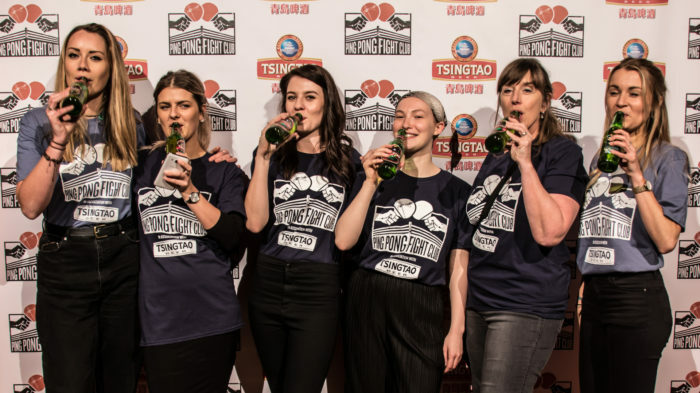 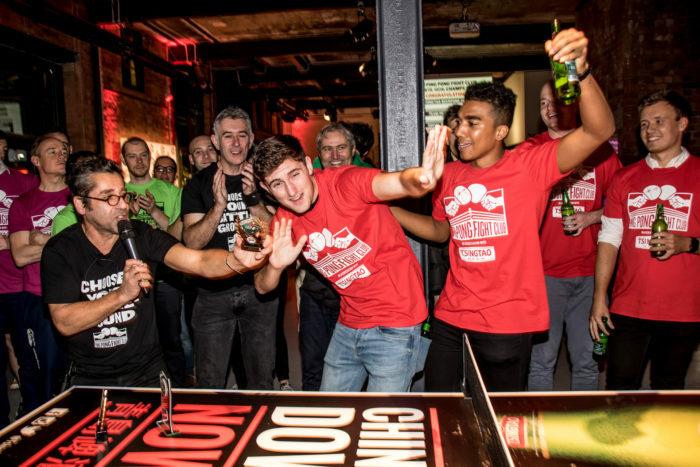 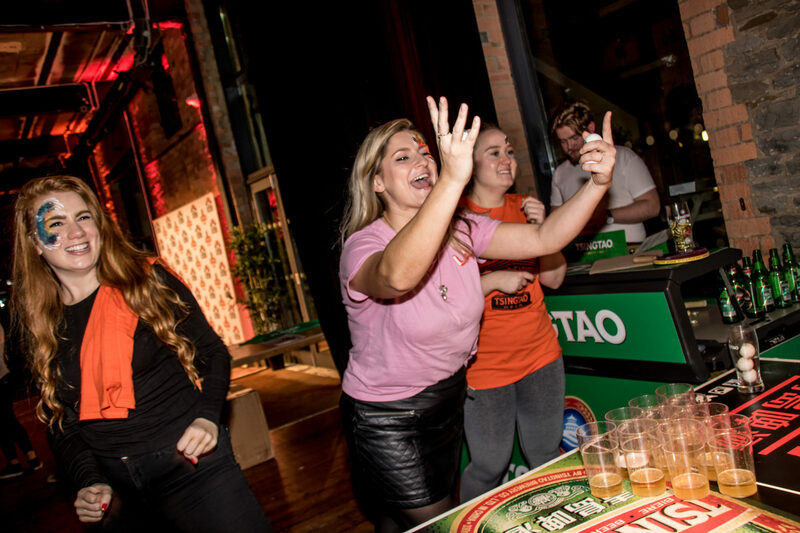 Huge big ups to Tsingtao Beer, our sponsors who have supported our ever-expanding UK Tour, all our amazing Ping Pong Fight Club crew, Table Tennis England for supporting our mission to increase the number of women playing and Paintworks venue team for letting us have the space to play, party and compete in the only way we know how: with more fun than you can shake a paddle at! 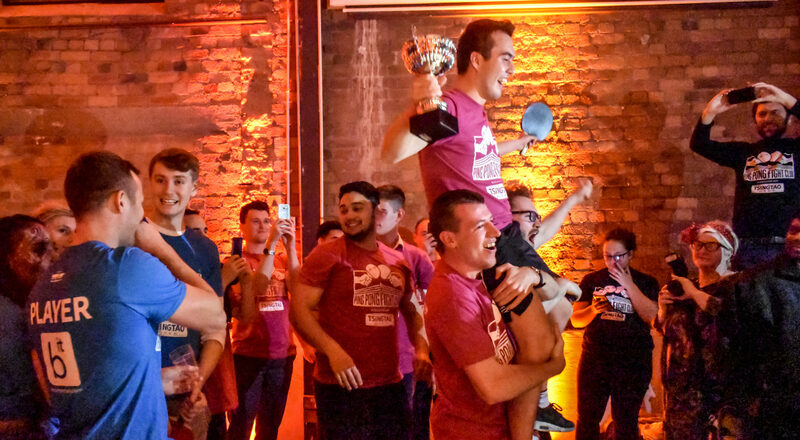 Rise Technical – All round firebrands, they kept the party going and claimed the Loudest Supporters trophy! 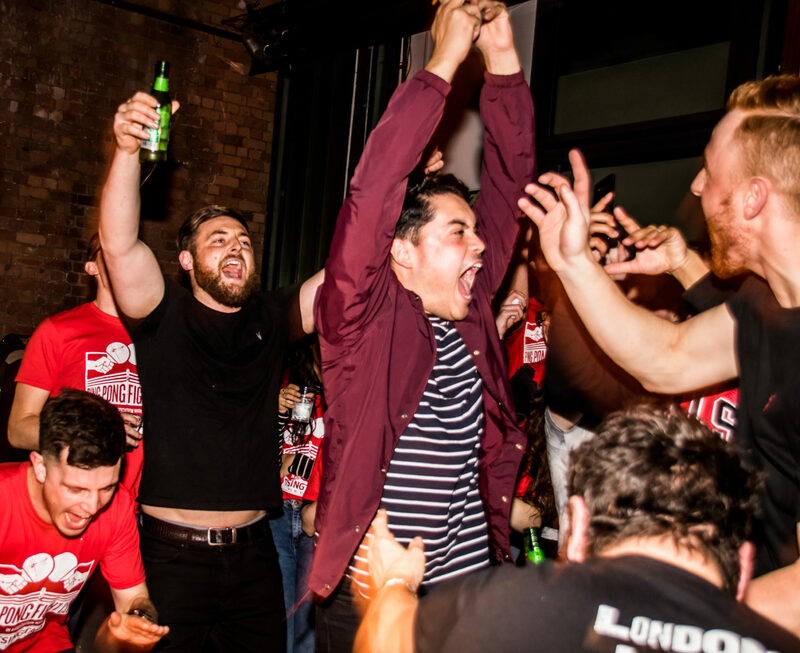 Rowdy, unruly…can’t wait to have them back! 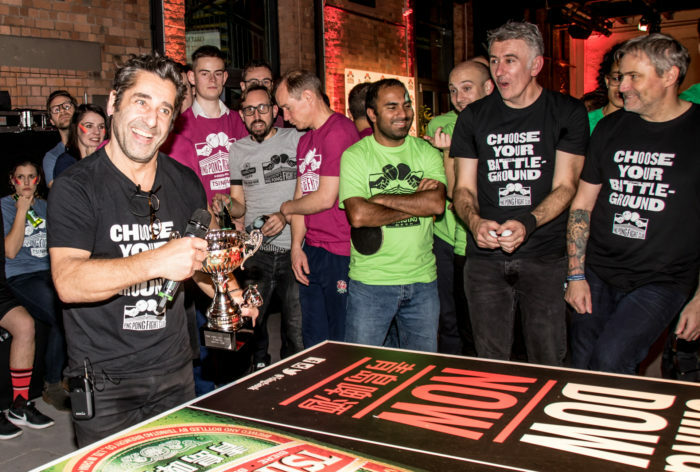 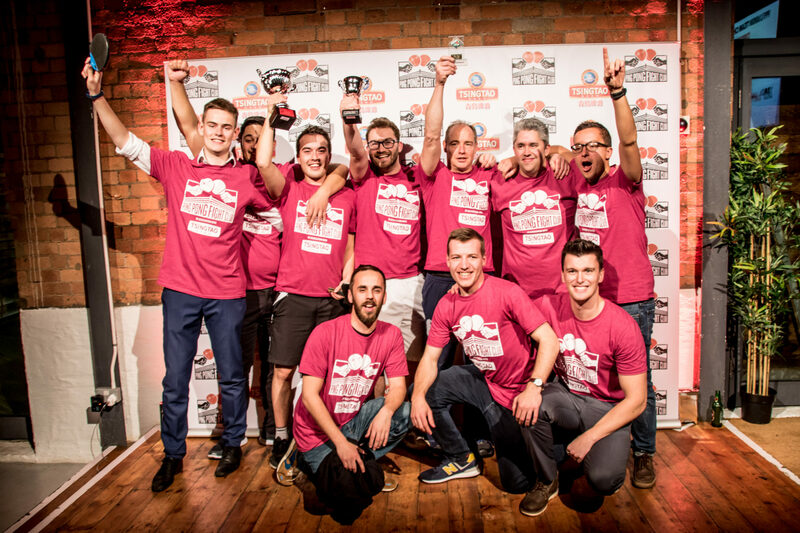 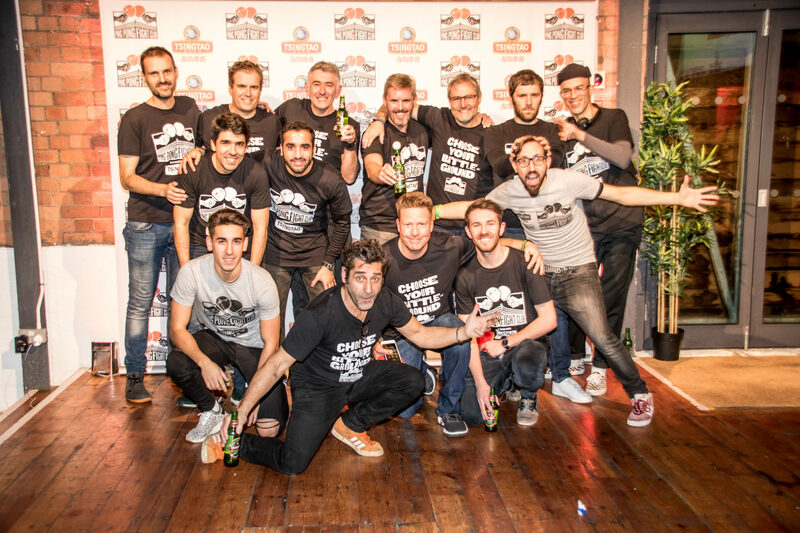 Six Degrees – Lastminute.com entries to PPFC BRS 2018 but made an instant impact mixing it up with Bristol’s finest! No shortage of ping pong skills on display either! 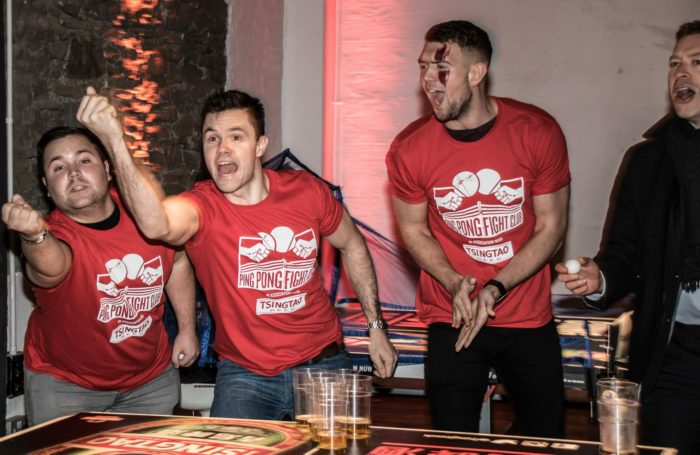 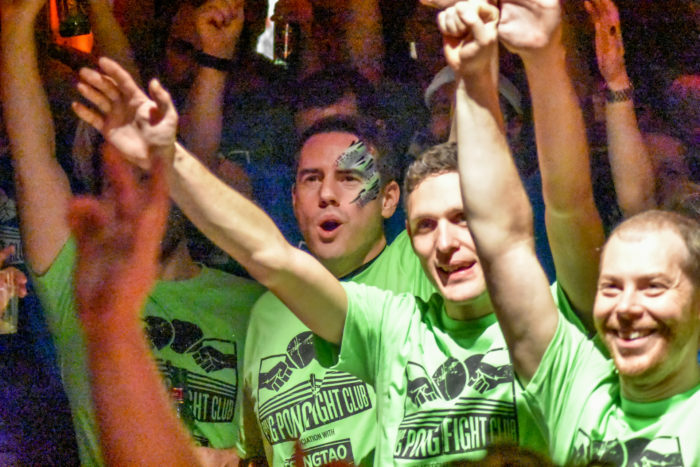 Forgerock – Serious group of individuals, the type you want on your side going into battle and by your side at the bar! LettUS Grow - One of Bristol’s finest and most innovative start-ups, grew in stature as the night progressed! Berkeley Square IT Punched above their weight in all categories! 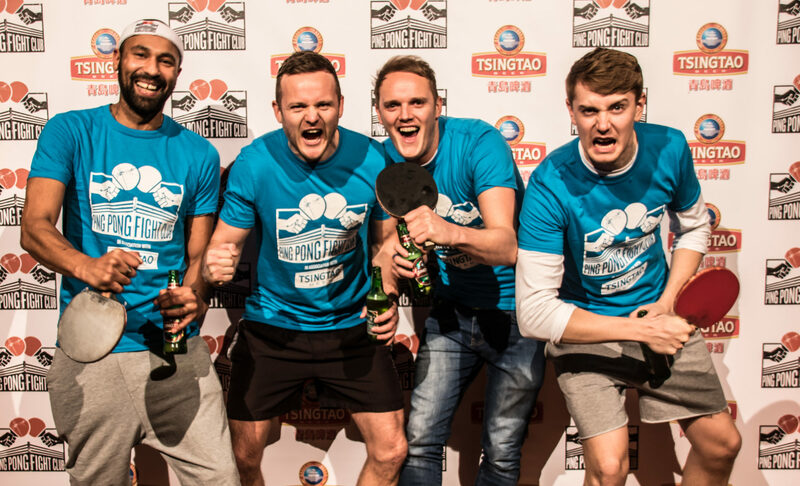 Fine, upstanding ping pong pugilists of the highest order! 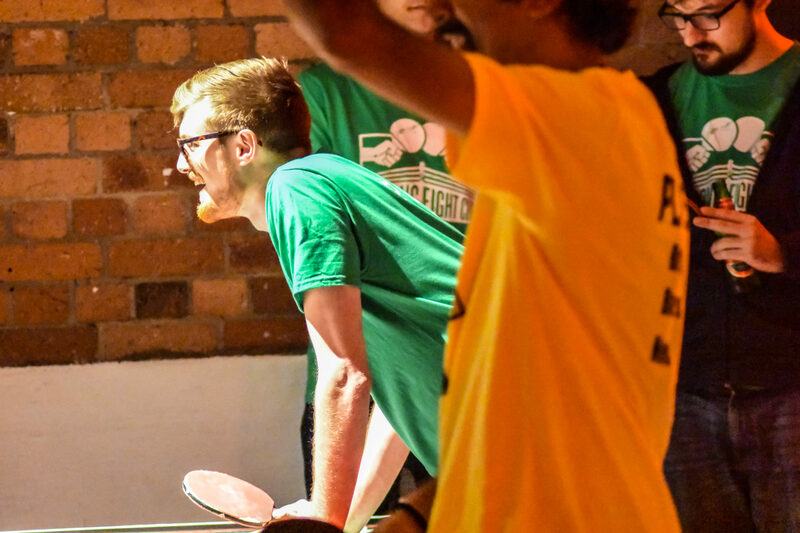 Smith and Williamson – The smiling assassins who came, saw and conquered all before them…buggers! 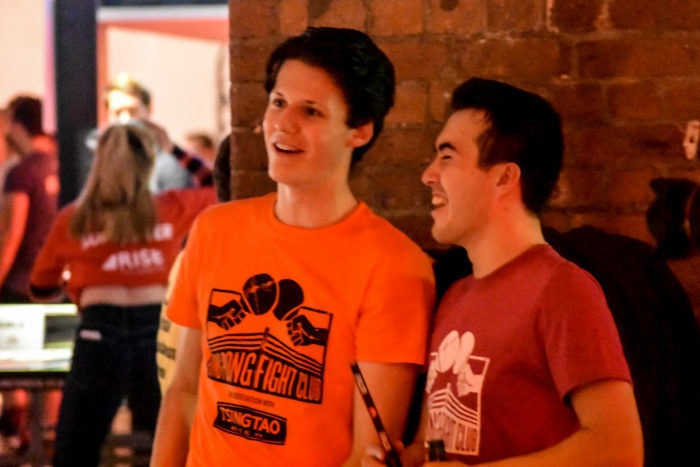 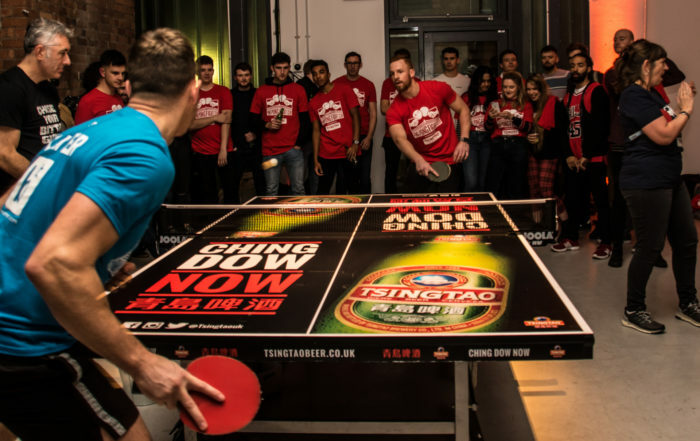 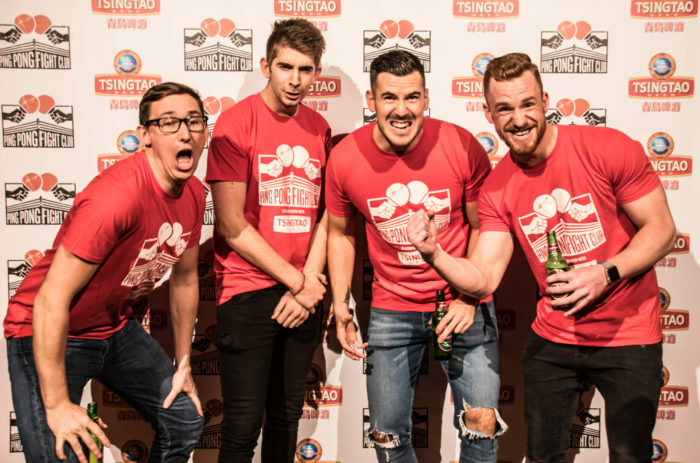 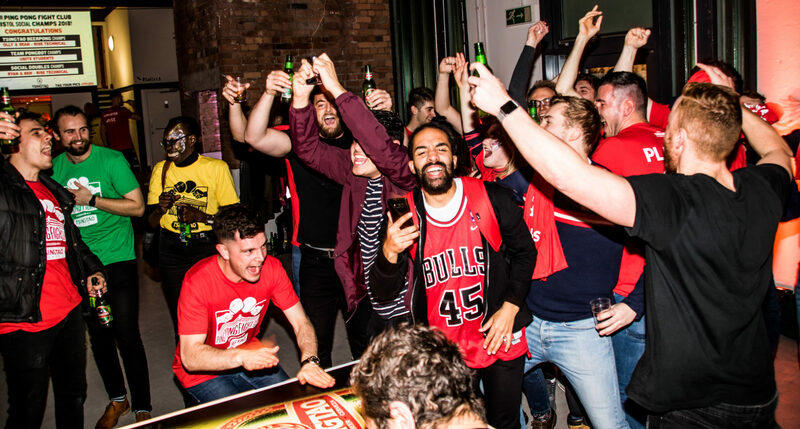 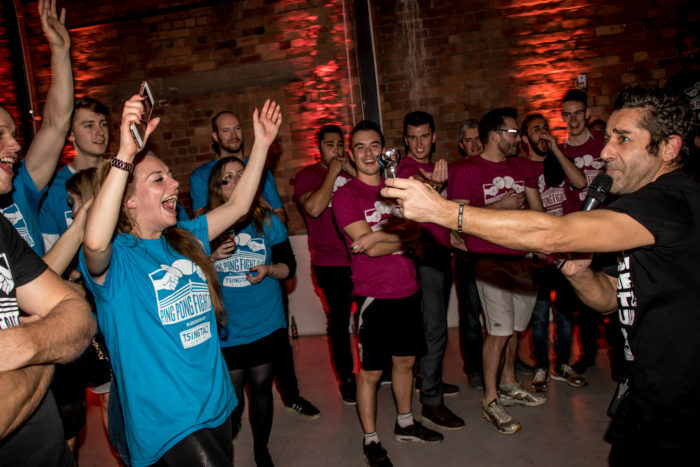 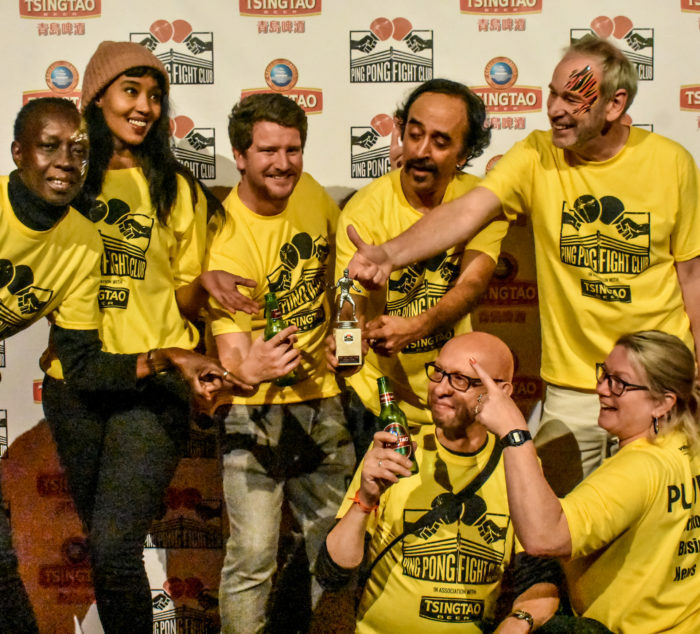 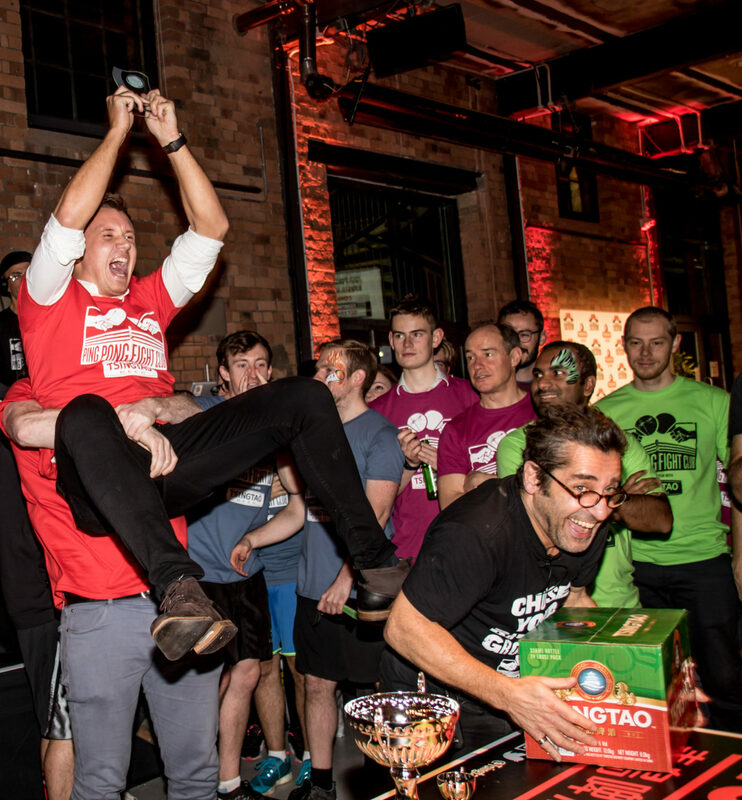 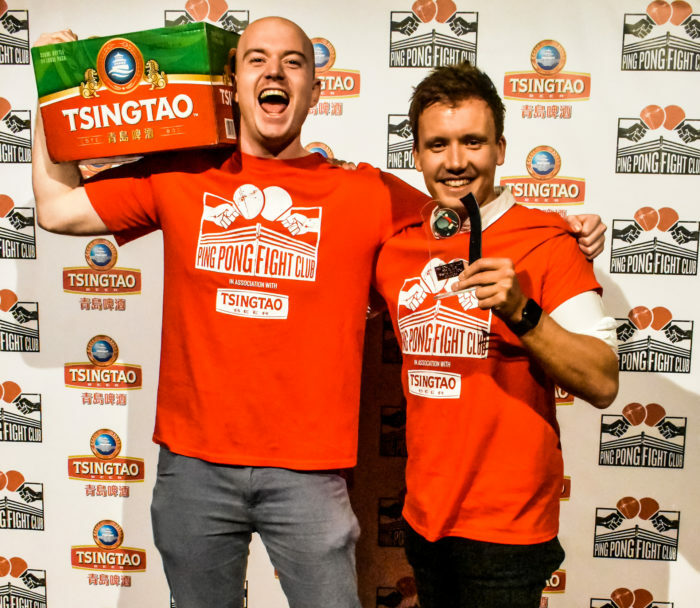 Bristol Business News –Never seemed to be without a Tsingtao (pronounced ‘Ching- Dow’) and certainly put the ‘social’ into social play, working the room with effortless ease! Unite Students Women’s Team – We sent a Table Tennis England coach to their offices to get them ‘tournament ready’. 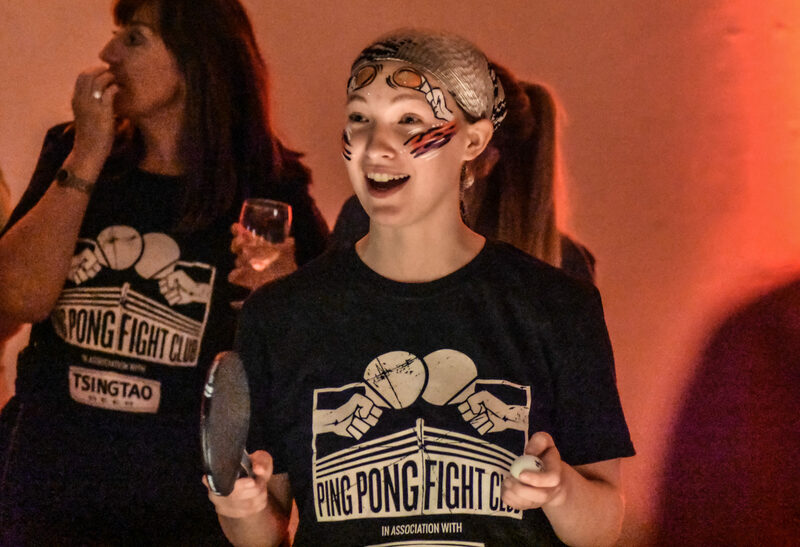 They were all magnificent and truly embodied the Ping Pong Fight Club spirit, demonstrating some silky skills, wit and gritty determination! 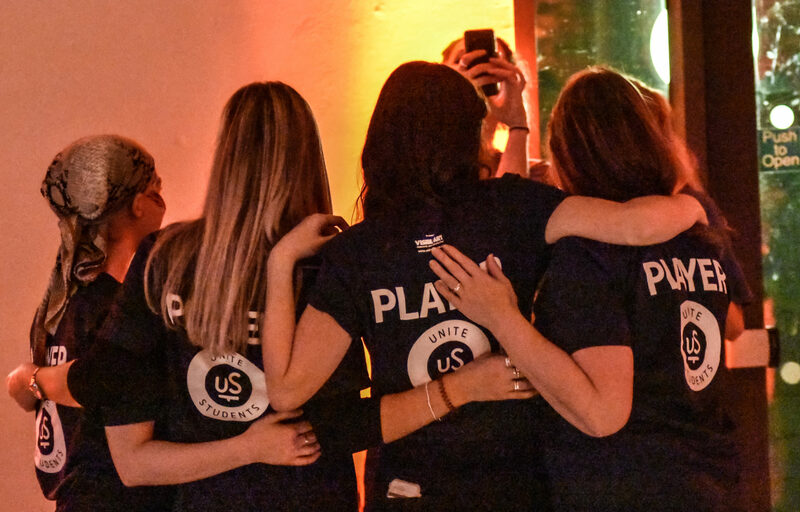 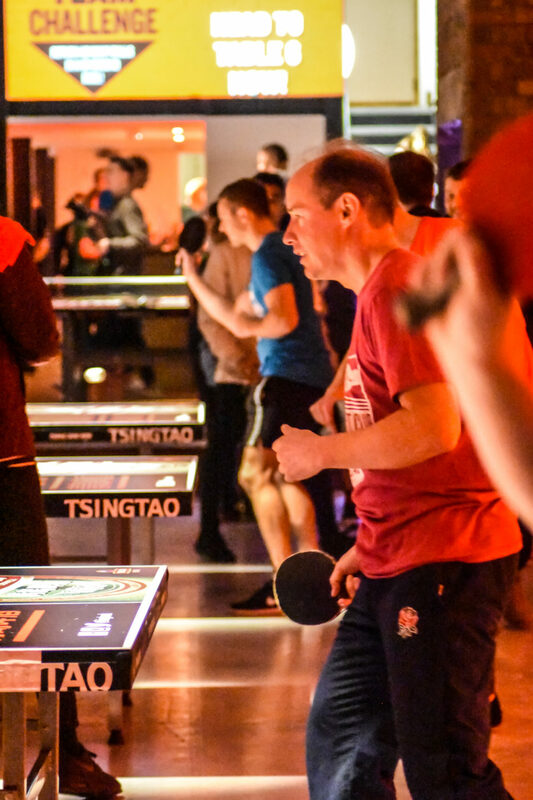 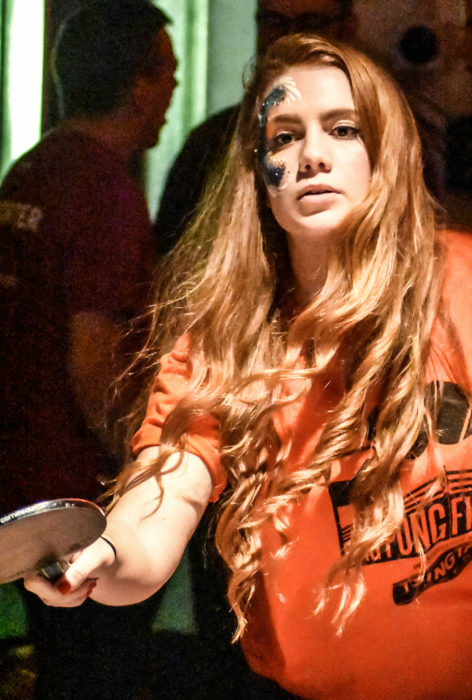 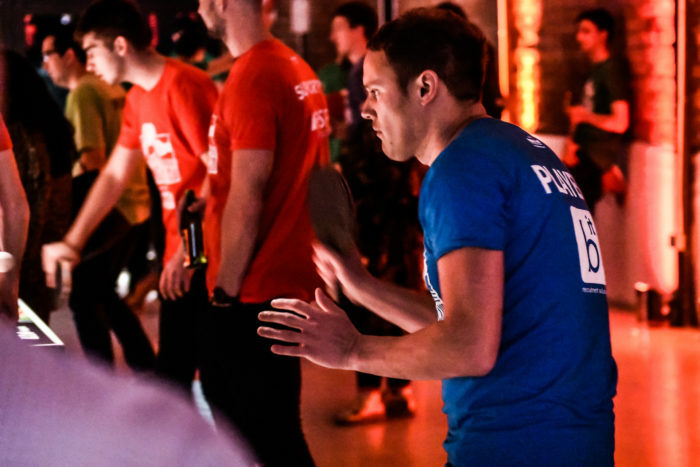 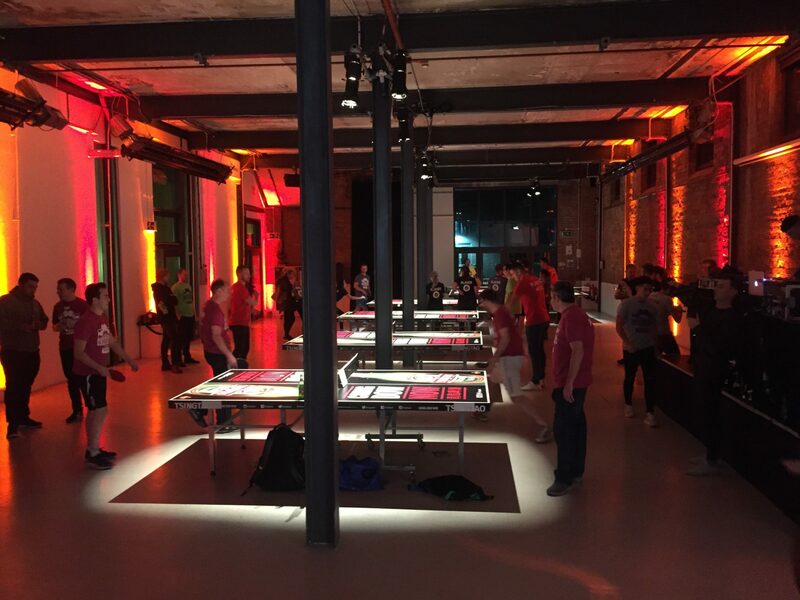 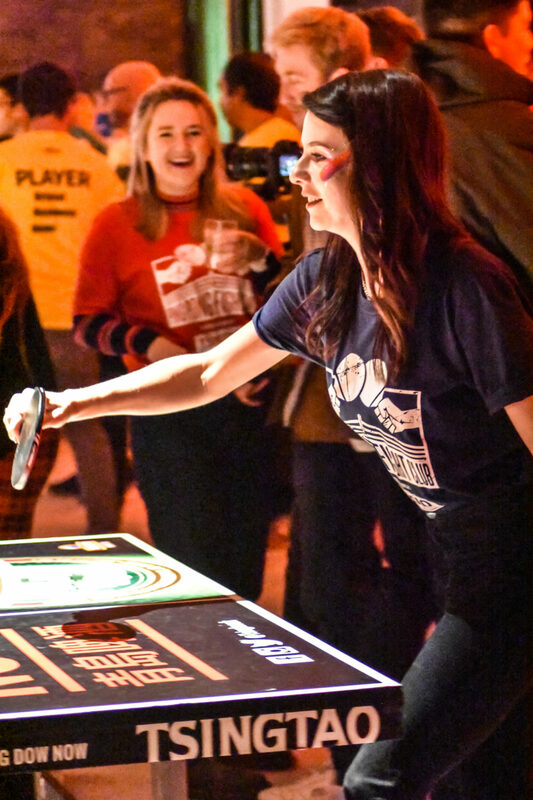 Unite Students –Have -a-go social ping pong heroes, made friends and frenemies throughout the night! 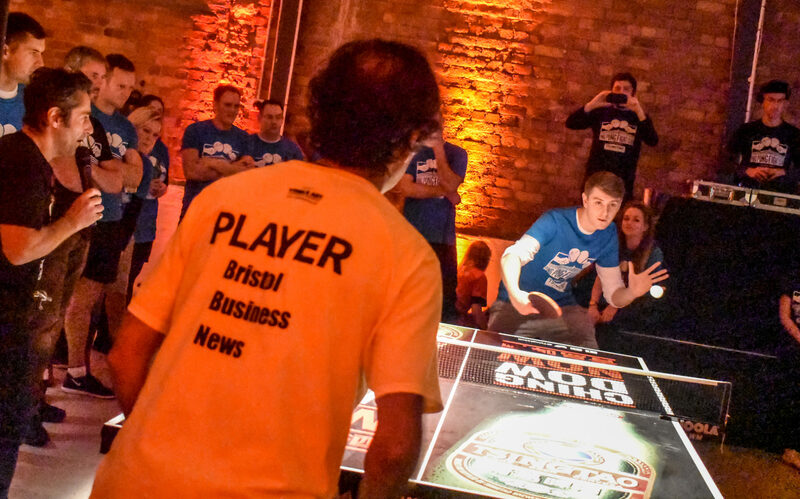 Bristol’s Finest Go Head To Head! 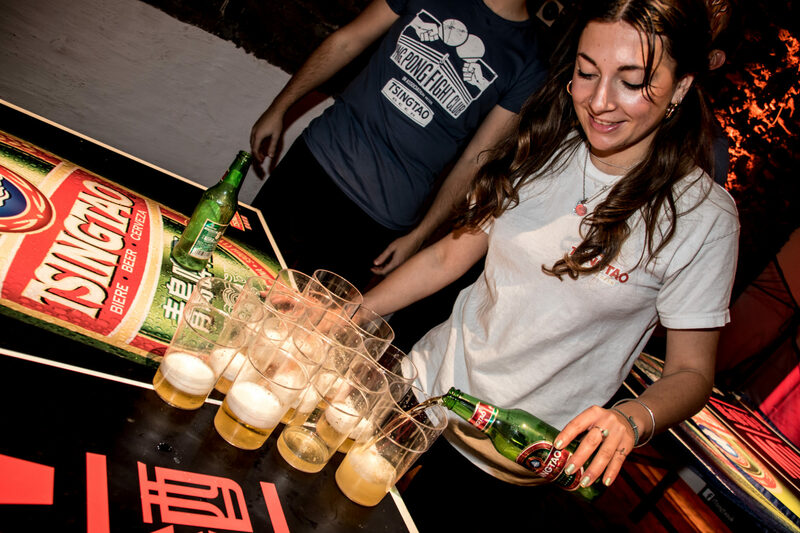 Against a backdrop of floor-filling ‘chunes’ from DJ Thomas, the party never stopped from early doors with Tsingtao’s Beer Pong Championships, VR Ping Pong, The Pongbot Challenge, Doubles tournament and, plenty of bar and food action…we even had our first Ping Pong Fight Club player identity scandal! 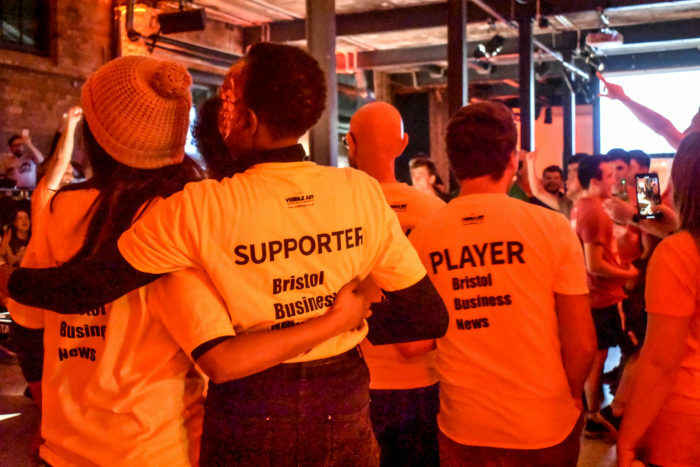 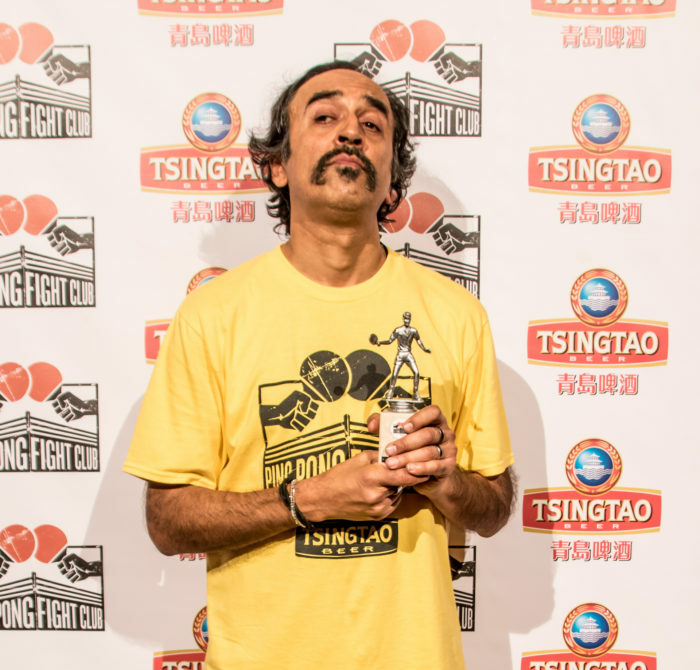 Chancers Champion ‘Roger Griffiths’ after accepting the trophy confessed when interviewed, that he was none other than Urfan Ali, a casual supporter of the Bristol Business News team, who swapped shirts and competed as Roger Griffiths who had failed to show up for his matches. 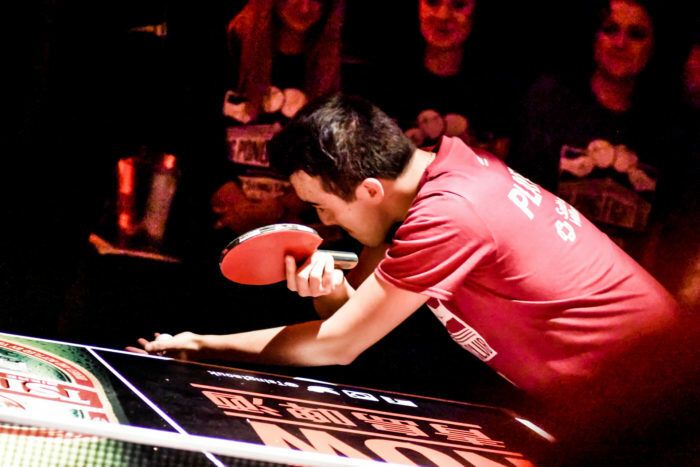 The ‘Chancer’ then went on to become ‘Chancers Champion’! 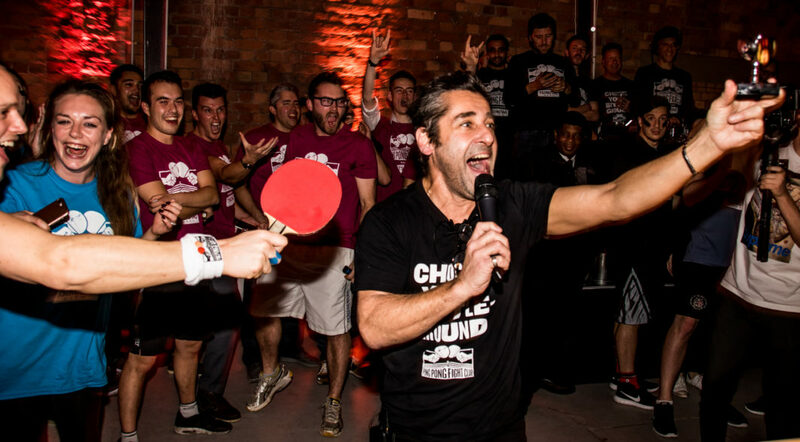 Well done Roger!